In my mind, one of the best parts of the Christmas season is all of the incredible sweets, cookies, desserts, and dinners that we get to indulge in. There is a reason why diets seem to go out the window during the month of December. Last month for our Tastes of the Season series, we joined together to bring you our favorite cookie recipes (You can find my Raspberry Gingersnaps here.) and today for our last recipe this year we are sticking with tempting your sweet taste buds by sharing a non-cookie Christmas treat. 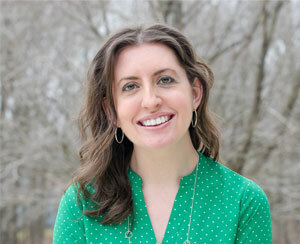 Links to everyone participating, including our host Kristen from Ella Claire, can be found near the end of this post. I am not a huge candy eater, even at Christmas. (Although I do reach for more than a few Reese's Peanut Butter trees and homemade chocolate covered cherries.) 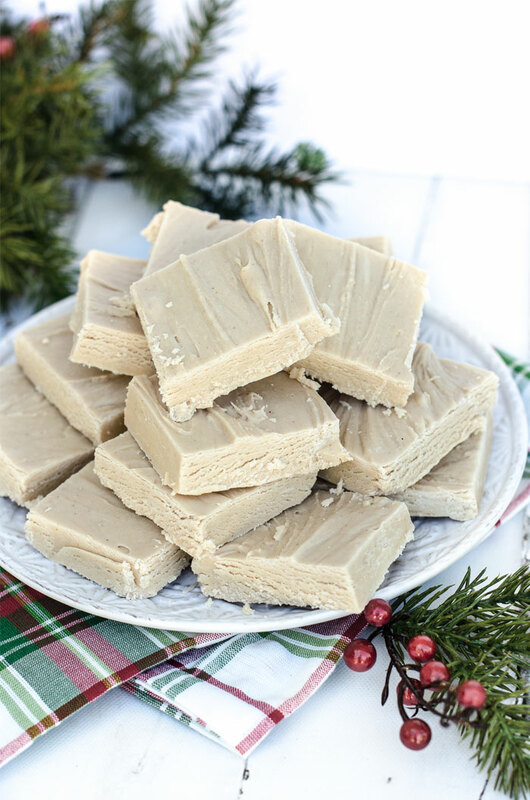 One sweet that I do love is my mom's recipe for Peanut Butter Fudge that she makes every year for the holidays. 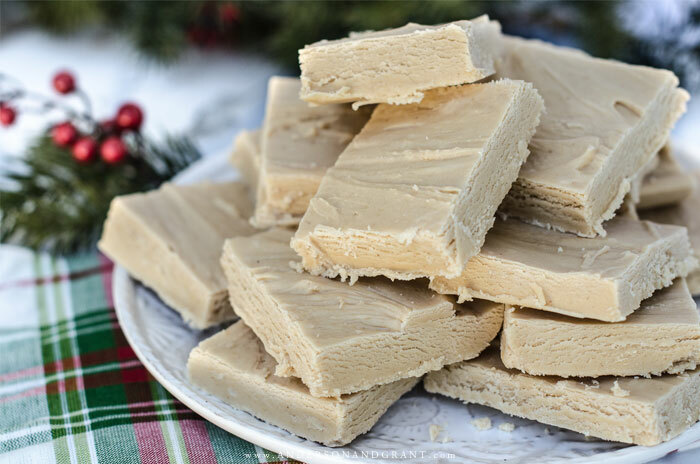 Fudge is good....some recipes better than others. But this recipe is by far the most delicious I've ever tasted. And so simple, too. Or at least watching her make it seems simple! 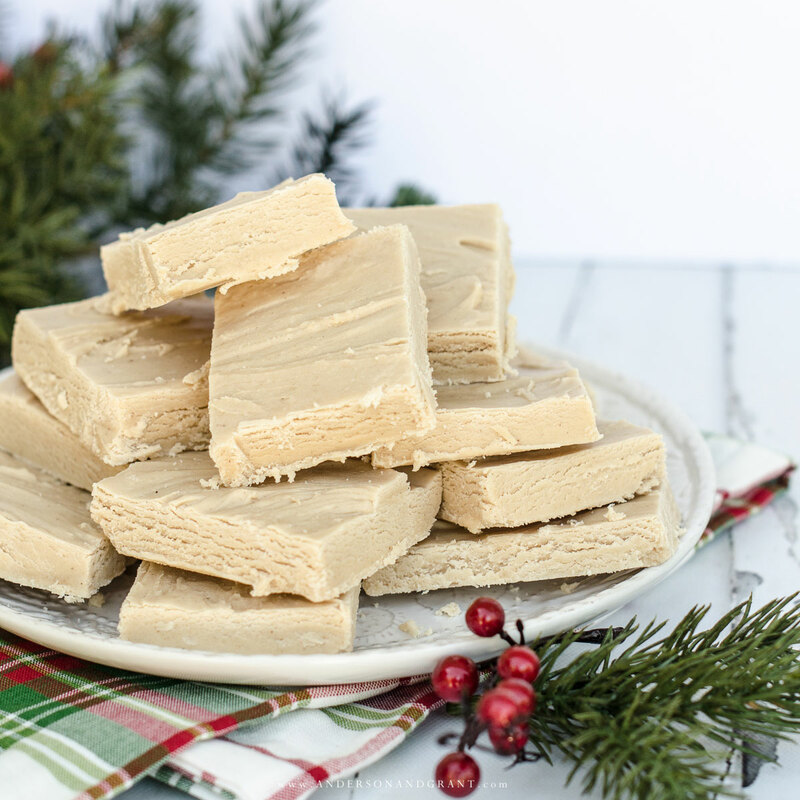 She sold this fudge at an event in our town for many years and people would seriously stop just to purchase this sweet treat. It's incredible and I'm so excited that I get to share it with you today! 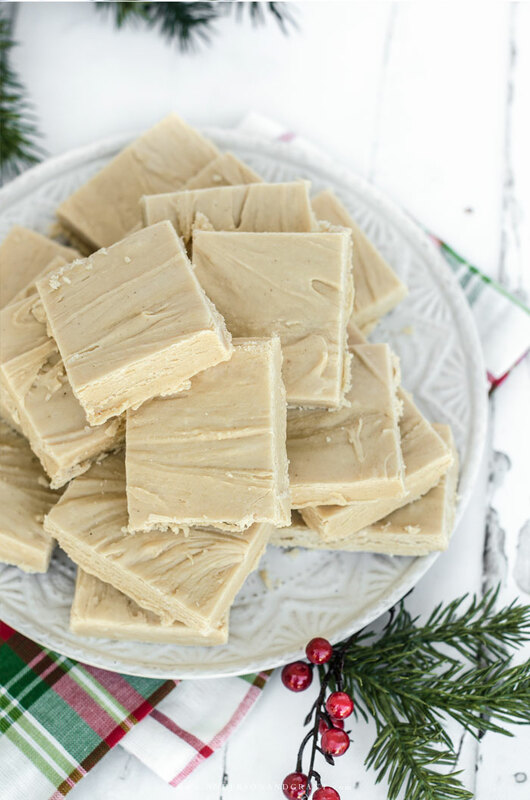 And while this recipe is specifically written as peanut butter fudge, you can substitute any flavor chocolate chips for a different type of fudge. Just be aware that the package sizes may differ and you need to be sure that you are using just 10 ounces of chocolate chips when you make the recipe. Spray a 9"x13" baking pan with cooking spray. In a heavy 4-quart sauce pan, combine the sugar, milk, and butter. Heat the mixture to a full boil, stirring it constantly. Boil for five minutes over medium heat, continuing to stir constantly. Remove the pan from the heat and add the peanut butter chips to the hot mixture. Stir until the chips have melted completely. Mix in the marshmallow cream and vanilla until well blended. Pour the fudge into the prepared pan and smooth out with your spoon or silicone spatula. Allow the fudge to cool and then cut it into pieces. A stainless steel flat blade chopper works really well for straight slices. Store in an airtight container. It is best if eaten within two weeks. Homemade Hot Chocolate Mix - A great DIY gift idea! My friends below are also sharing their recipes for holiday treats. I'd love for you to take a moment and visit some of the links for more ideas!